1: Core layer structure: big cotton core adopts alien continuous stripping to shape and small cotton core adopts direct buckle the forming. Big cotton core and small cotton core are pressed solid after wrapping by tissues. 3. Top sheets are composed of side nonwovens with elastic and middle materials, compressed by embossing units. 4. Nonwoven sectioning units adopts motor sectioning mode. 5. Tightness of elastic is adjusted by double roller linear velocity controlled by frequency conversion. 6. Roll material and tube material are compatible for elastic feeding. 7. Cotton core cutting and final product cutting adopt side blade scraping. 8. Color calibration of former icon straight cut adding unit. 9. Waist combination adopts heat seal. 10. Detailed shape, structure, sizes of products is confirmed according to the finalized products by both parties. Looking for ideal Training Pants Diaper Making Machine Manufacturer & supplier ? We have a wide selection at great prices to help you get creative. All the Pull Up Baby Diaper Machine are quality guaranteed. 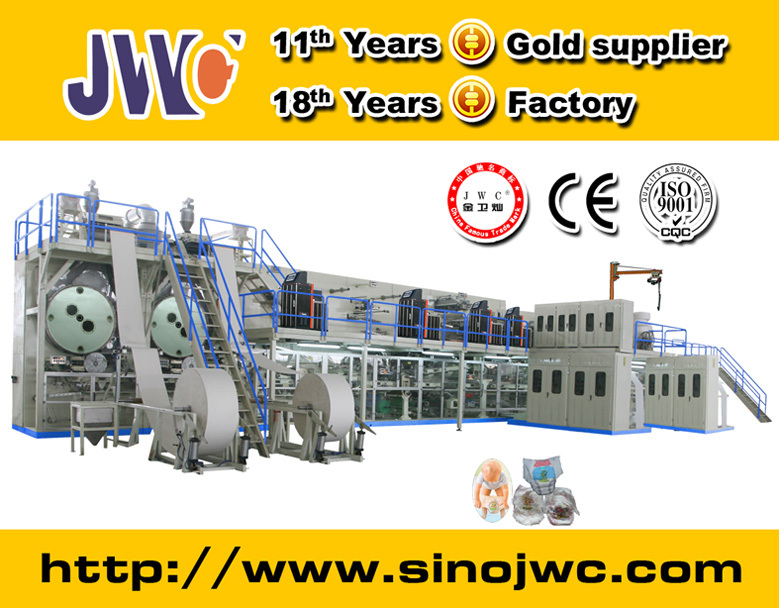 We are China Origin Factory of Diaper Making Machine Manufacturers. If you have any question, please feel free to contact us.